We were able to get golf camp in this morning, but that was the only outdoor activity we were destined to have today. 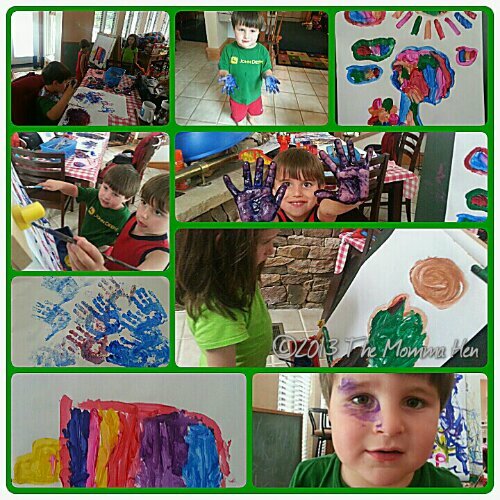 With the monsoon of 2013 continuing, good indoor activities were key to our survival. Or at least my sanity. And no, I wasn’t completely in possession of my sanity. Just ask the Hatchlings about me kinda snapping when I found myself wading ankle-deep in toys. 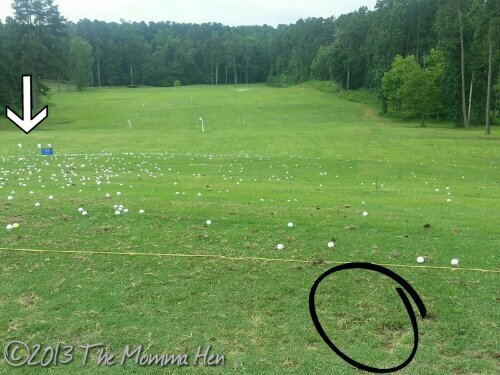 And, because this is a record for posterity’s sake, I have to include this picture that shows where H#1 was standing when she chipped ball after ball, trying to land a shot into a range ball basket where the arrow is. She did it.